A Tory MP has used the findings of U.S. climate skeptics to conclude the global polar bear population is flourishing. 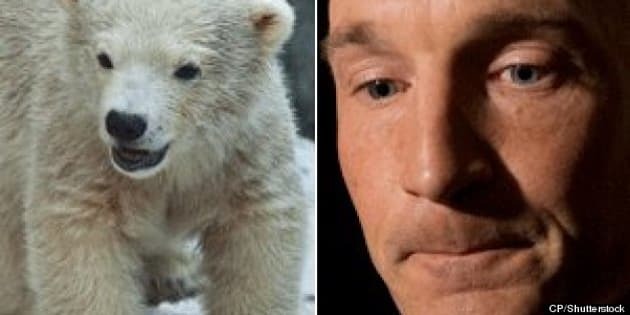 Ryan Leef, who represents Yukon, said in a letter to a constituent in February that “pessimistic studies” from those who want to see the beloved bears declared endangered have been judged “unscientific and inconsequential” by researchers. “The global polar bear population has quadrupled over the last 40 years,” Leef wrote. To support his claim, Leef sent the constituent — a high school science teacher — a 2008 report prepared by a marketing expert from the University of Pennsylvania, an economic forecaster from Australia and a Harvard astronomer, Postmedia reports. In a lengthy rebuttal by seven climate and polar bear experts in 2009, the study was described as bogus and misleading. Ian Stirling, an international expert on bears at the University of Alberta who contributed to the rebuttal, told Postmedia he was shocked by Leef’s letter. “I am absolutely appalled that a Canadian MP would circulate this kind of stuff to a constituent asking in good faith about the conservation of polar bears in Canada,” he said. Steven Amstrup, chief scientist at Polar Bears International, said the trio behind the study Leef cited were “professional climate change deniers,” and that to suggest the iconic bears are fine is akin to living on a different planet. The Polar Bear Specialist Group of the IUCN Species Survival Commission reports that of the 19 populations of polar bears, eight are declining, three are stable, seven have insufficient data and only one is increasing. Environment Canada, which currently lists the bears as a “species of special concern,” says this country is home to approximately 16,000 of the estimated 20,000–25,000 polar bears in the Arctic.